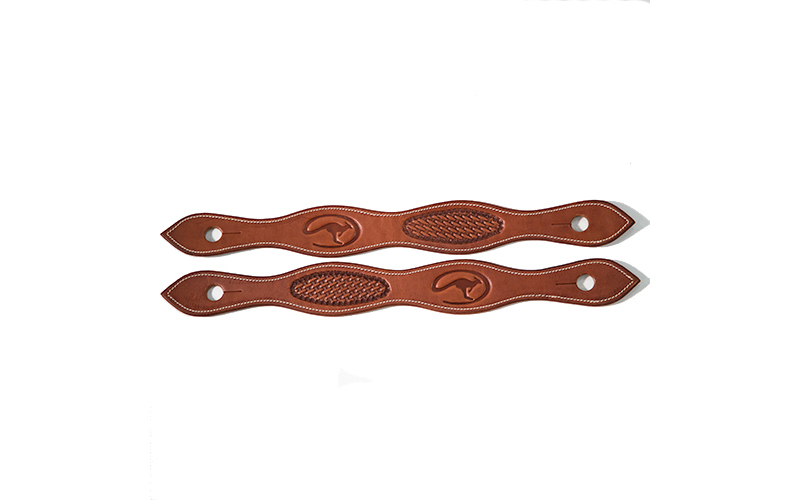 Our stamped slobber straps are accented with a barbwire or a basket stamp pattern and feature the roo logo. They are available in a one-piece or two-piece style. If you often change bits on your bridle, you’ll want the two-piece style as it allows you to change bits without untying your reins.